The new Windows 10 store is completely revamped and looks brand new. While some people who have had a Windows Phone may be disappointed with the lack of apps, the upcoming operating system shows great potential than any other launch in Microsoft’s history. Microsoft has confirmed that the company is working closely with developers to bring as many apps as possible on board. Rumors claimed that they are also working on creating an emulator that will enable Android apps and games to run on Windows 10 OS. During the E3 2015 event, the Xbox One wing of Microsoft announced that Windows 10 will support cross platform game play. It is the first step towards creating a unified experience which will enable apps and games to run on both platforms at once. Then, developer Mojang announced a new special edition of Minecraft that would allow players on PC, iOS and Android devices to compete with one another. Such game titles are going to play an important role in helping Windows 10 become the ultimate platform for cross platform play. 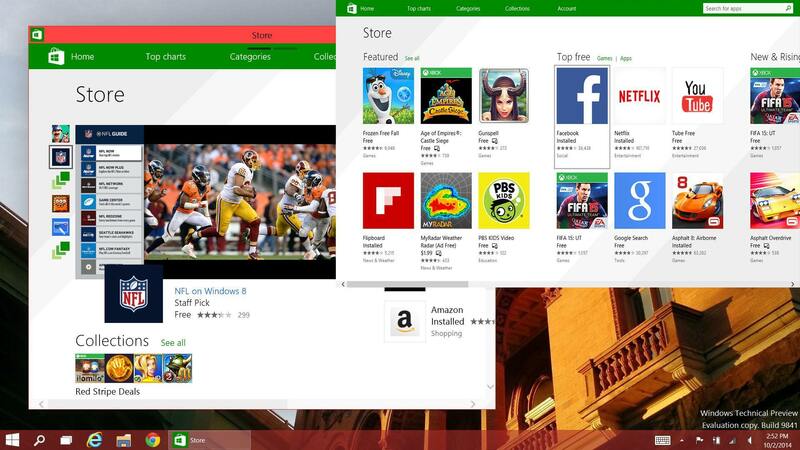 The Windows store apps had witnessed considerable improvement over the past few years. It has grown in terms of quantity and quality. 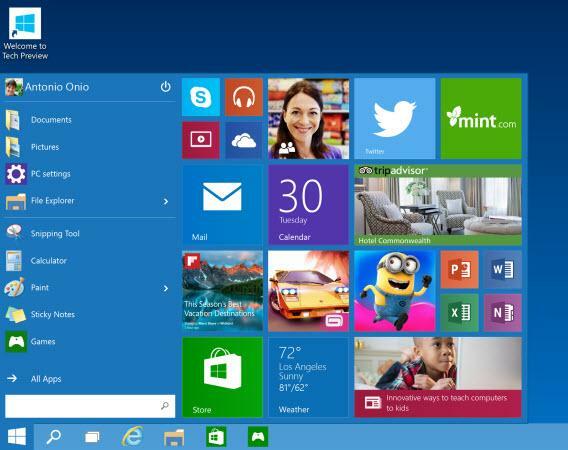 A significant advantage that Windows 10 has when compared to Windows 8.1 is the revamped desktop mode which supports all your favorite metro apps. People who are used to the traditional keyboard and mouse input systems didn’t find it convenient to access apps on an interface designed for devices with touch screen. The issue has now been sorted out by the developers at Microsoft. The new Start menu might look a bit crowded because it houses all the best features from the past and has a collection of metro apps as well. Yet, it is a great start to satisfy users on every platform because it’s an interface designed for the future. PC users no longer have to switch to Metro mode, as apps can now run on the traditional desktop interface in windowed mode. App developers and analysts believe that when the number of users drastically increases, it automatically encourages more developers to get on board. Besides, smartphones and tablets are no longer the craze in the world of technology due to lack of kickass games and apps. This could be the best time for Microsoft to woo audience with amazing metro apps combined with PC games that could run on multiple platforms.